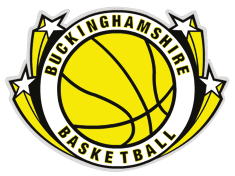 The Buckinghamshire Basketball Association plans to run regular coaching courses to support the development of all coaches based within the county. Coaching for a local club in the Buckinghamshire Basketball League is a great way for new coaches to gain experience. Coaching in National League competition offers coaches the chance to expand their knowledge and experience of the game. Coaching as part of the County Performance Centre and County Squad programmes provides experienced coaches the opportunity to mould players with exceptional potential and guide them as they attempt to progress along the England Basketball Player Pathway.